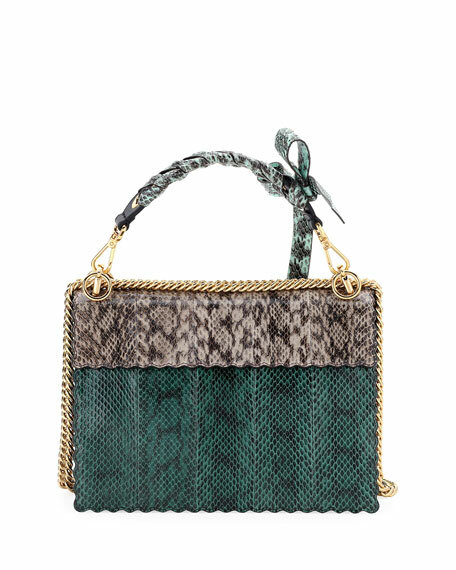 Fendi shoulder bag in scallop-edged, two-tone snakeskin and calf leather. 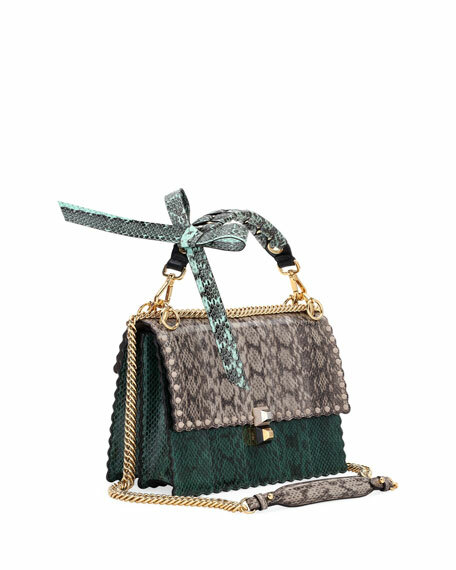 Removable snakeskin-wrapped top handle with bow. Flap top with spike trim; ABS stud push-lock closure. Exterior, scallop trim at edges; flap pocket at back. 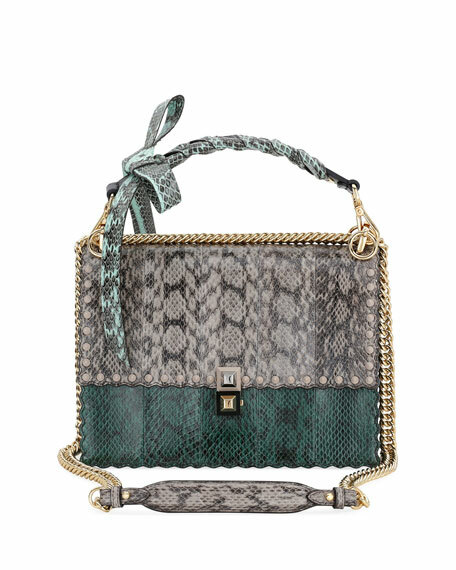 Fendi denim shoulder bag with floral appliqué. Palladium hardware. Buckled leather shoulder strap, 7" drop. Flap top with FF buckle; snap closure. Interior, fabric lining; one zip pocket. 5.5"H x 10.2"W x 1.6"D. "Baguette" is made in Italy.